REDWOOD CITY, Calif., June 18, 2018 /PRNewswire/ -- Equinix, Inc. (Nasdaq: EQIX), the global interconnection and data center company, today announced AT&T has been selected as the Equinix 2018 Americas Partner of the Year. AT&T was recognized as the top-performing Equinix partner for its achievements in providing outstanding delivery, execution and expansion of Equinix interconnection and colocation solutions and services. The Equinix Partner Program was established with the goal of building a rich ecosystem of top providers to help Equinix customers design and deploy optimal multicloud solutions—whether public, private or hybrid. The annual awards honor the ongoing commitment and success demonstrated by the company's partners toward enabling business at the digital edge through an interconnection-first approach. Through its collaboration with Equinix, AT&T offers its enterprise customers direct and private connectivity to Equinix Cloud Exchange Fabric™ (ECX Fabric™), an on-demand platform that enables Equinix customers to discover and dynamically connect to any other customer across any Equinix location globally. Through a single physical connection and an easy-to-use portal, ECX Fabric provides access to more than 1,000 of the world's largest enterprises and cloud service providers. AT&T and Equinix have jointly provided businesses with data networking services for more than a decade. In 2014, AT&T became a premier reseller of Equinix interconnection and colocation services. AT&T and Equinix also collaborate to embed AT&T NetBond® for Cloud into select Equinix International Business Exchange™ (IBX®) data centers. AT&T NetBond® for Cloud provides enterprise customers with fast and highly secure direct connections to leading cloud solution providers, in addition to eliminating many of the reliability, security and latency issues traditionally associated with accessing solution providers through the public internet. Most recently, AT&T and Equinix expanded their relationship to make AT&T Switched Ethernet ServiceSM with Network on Demand available to businesses in Equinix IBX data centers. This enables businesses to move their operations to the cloud and to interact with their network in near real time while providing opportunities to conduct business closer to the edge where businesses operate. Currently, AT&T Switched Ethernet Service with Network on Demand, as well as many other strategic enterprise networking solutions, are available at Equinix IBX data centers in multiple metros across the U.S., including Atlanta, Chicago, Dallas, Los Angeles, Miami and Silicon Valley. The Equinix Partner Program provides partners with access to the Equinix globally consistent footprint of 200 IBX data centers, combined with advanced interconnection solutions and access to business ecosystems. It is designed to address customers' IT performance, reliability and cost requirements, while unlocking new revenue streams in an expanding global market. Through the program, enterprise customers have access to public clouds, private clouds and traditional IT environments—all architected, deployed and fully managed by trusted Equinix partners such as AT&T. By reaching their entire digital ecosystem through a single private and highly secure connection to ECX Fabric, companies can rapidly scale their digital business operations globally. According to the Global Interconnection Index, a market study published by Equinix, the capacity for private data exchange between businesses is outpacing the public internet, growing at nearly twice the rate and comprising nearly six times the volume of global IP traffic by 2020. "We are proud to recognize our longstanding, strategic partnership with AT&T by honoring them as our 2018 Americas Partner of the Year. For more than a decade, AT&T has successfully worked with us to build hybrid and multicloud environments to address a variety of business and networking needs for our customers. We look forward to our continued alliance and helping enterprises maximize their interconnection and hybrid cloud strategies." "We are honored to be named Equinix's 2018 Americas Partner of the Year. We are proud to have a very strong relationship with Equinix to benefit our joint customers. This award is a testament to our collaborative efforts to provide enterprises with fast and highly secure private connectivity to multiple cloud providers on a global scale." 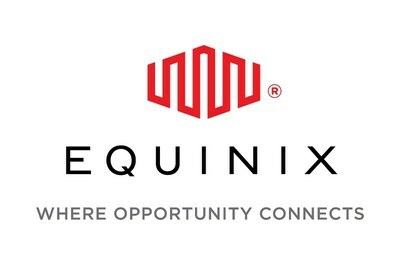 Equinix, Inc. (Nasdaq: EQIX) connects the world's leading businesses to their customers, employees and partners inside the most-interconnected data centers. In 52 markets worldwide, Equinix is where companies come together to realize new opportunities and accelerate their business, IT and cloud strategies. www.equinix.com.